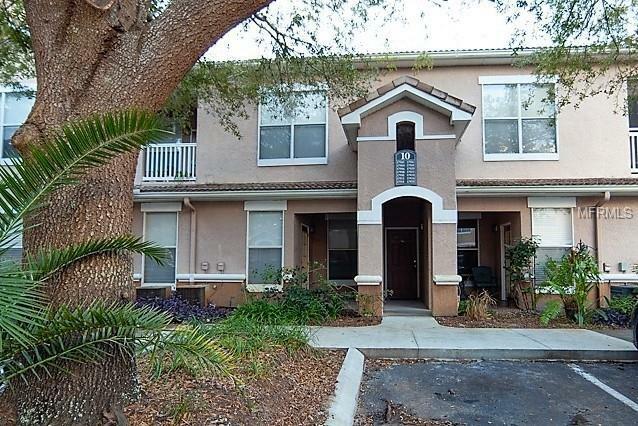 A 2 bedrooms, 2 full bathrooms luxury condo in New Tampa All new appliances , new carpet and freshly painted.As you enter you make your way upstairs to a beautiful open living/dining space with tons of natural light, high ceilings, Decorative fireplace, beautiful view to a pond and the open kitchen concept. Conveniently located off the kitchen is the over-sized laundry room. Both bedrooms offer a large walk-in closet and a master bath with a soaking tub. This gated community has many amenities including a beautiful pool, fitness room, clubhouse, laundry facilities . The Villas is centrally and conveniently located to major Interstates, Hospitals, Restaurants, Wiregrass Mall and Tampa Premium Outlets. A MUST SEE!!! Amenities Additional Fees: Extra fee required for Cluehouse rental.